Local authorities will today undertake a training exercise with members of the United Kingdom navy, who were deployed to the region on the RFA Mounts Bay naval ship. The training exercise reportedly is to strengthen search and rescue capabilities of Her Majesty’s Customs, local police, and the Virgin Islands Search And Rescue, more commonly known as VISAR. 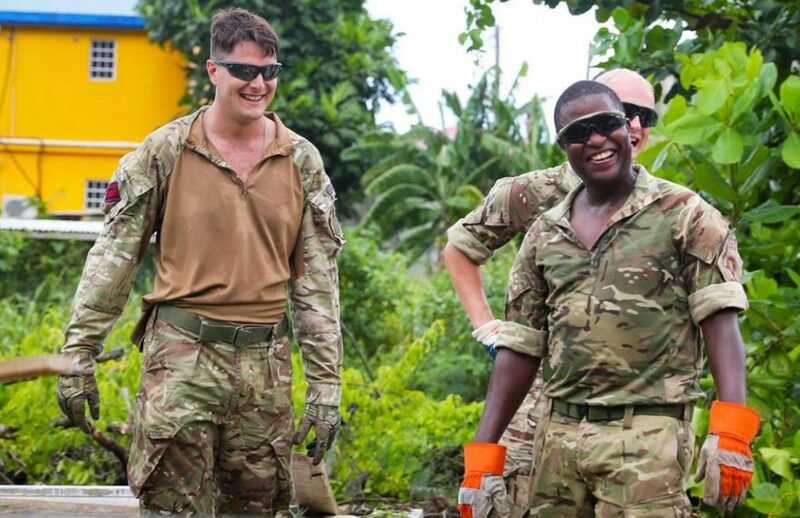 The RFA docked in the BVI this week and navy members have also begun to chip in to assist with debris cleanup as the territory moves deeper into the 2018 hurricane season. Naval officers are conducting land and sea cleanup. They are participating in dive cleanup exercises clear the seabed in Cane Garden Bay and Smuggler’s Cove beaches. “The team is also clearing the mangrove swamp area and planting coral nurseries to help restore the reef, and is working at Ivan Dawson Primary School to install a new rain garden to help prevent flooding,” government has said. The RFA’s return to the territory comes at a time when UK minister responsible for Overseas Territories, Lord Tariq Ahmad is visiting. Only the NDP said that. So they running Security for Lord Ahmad and occupying their time on other stuff. All in the normal process of things. Can you guys dredge in the village cay moorings area? That mangrove their is historic, it area is building up sludge for years and it need a clean out. It is The Royal Navy not the United Kingdom navy. Get the name right because you may be needing them soon. And each time the Royal Navy boat anchors itself at our Pier Park and leaves, disaster strikes the island. We are watching to see what it will unleash on us this time. We remember the floods of August Monday; please don’t put anything down on August Tuesday, my horse is poised to win. The contents are masterpiece. you’ve done a excellent process in this subject!